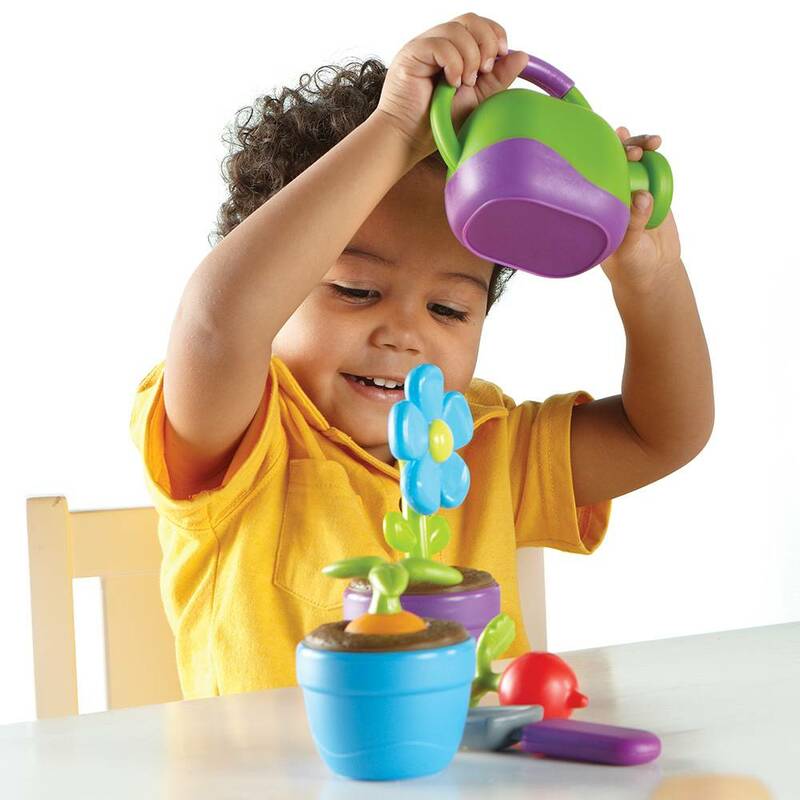 Watering can measures 5½”L x 4½”H. A garden full of imaginative play! 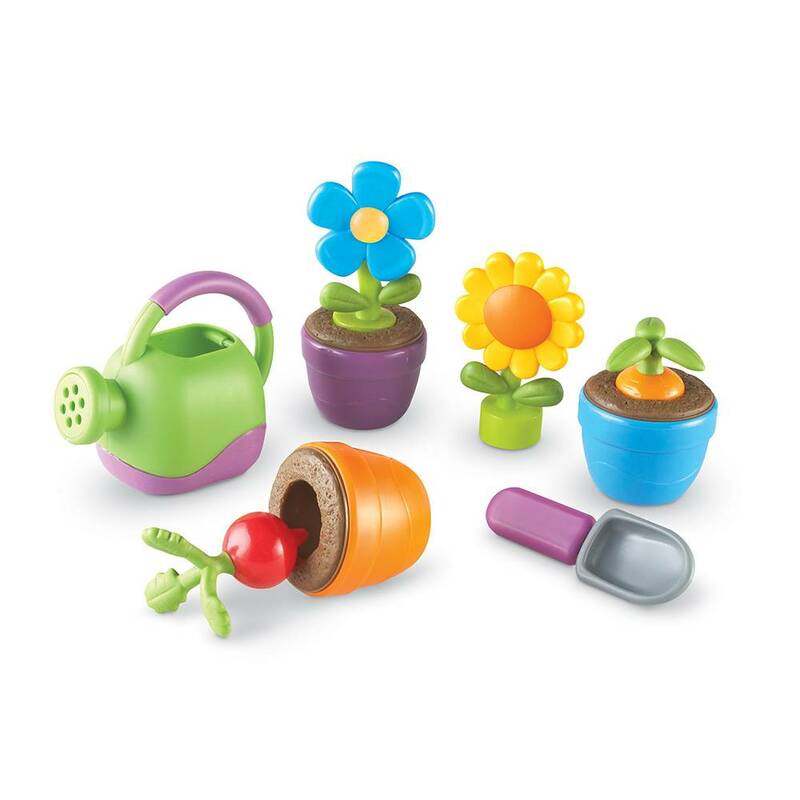 Plant and grow right before your eyes with gardening essentials including a watering can, shovel, and 3 pots. 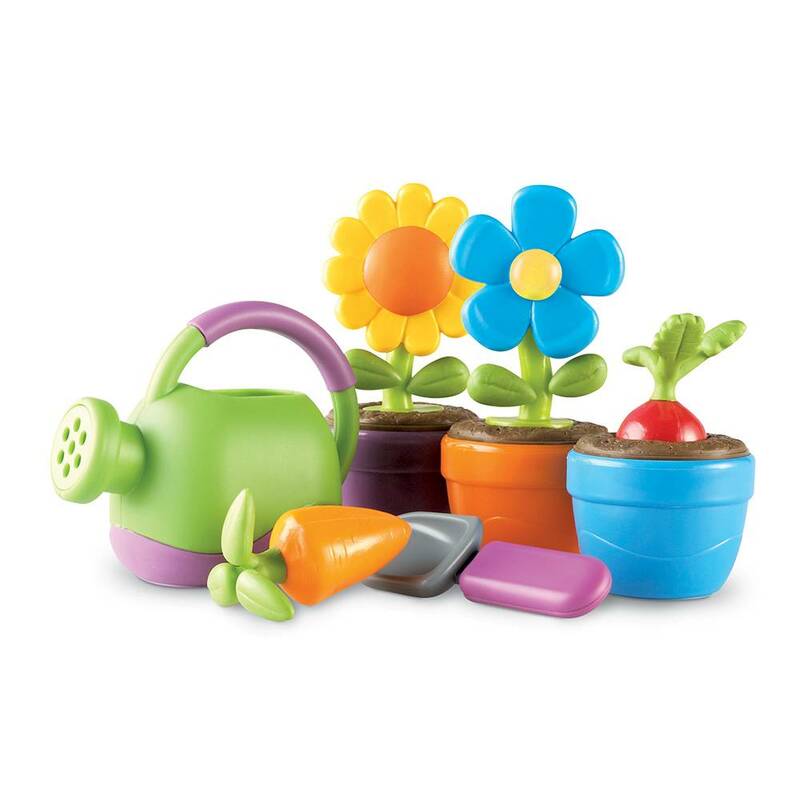 Colorful mix-and-match flowers and veggies encourage role play while nurturing an appreciation for nature. Includes 2 flowers and 2 veggies (carrot and radish). 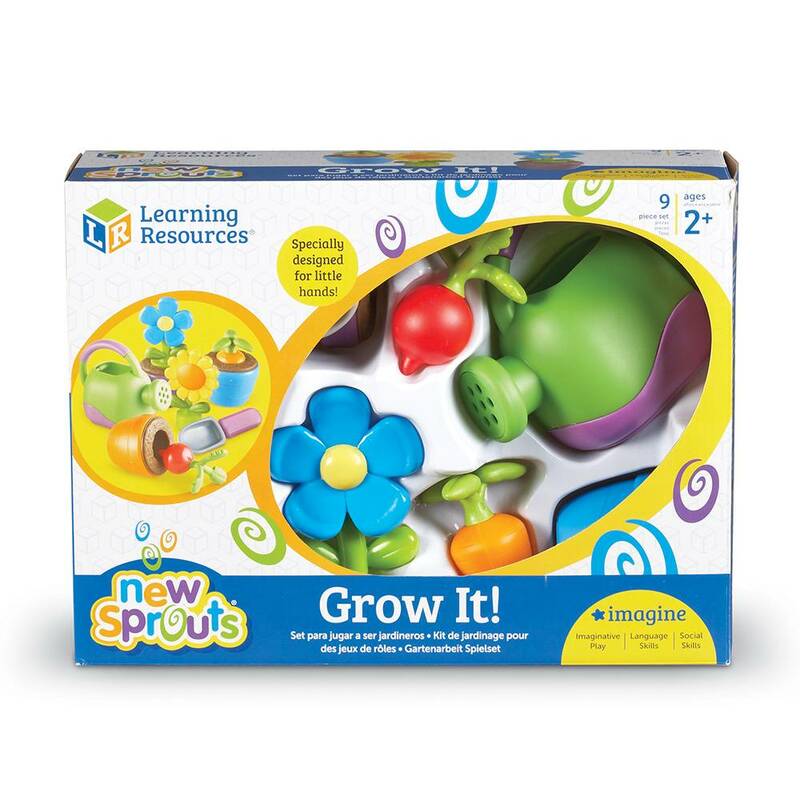 Write A Review For New Sprouts® Grow It!